Know everything about Sunderland? A new book may have a secret or two to share! 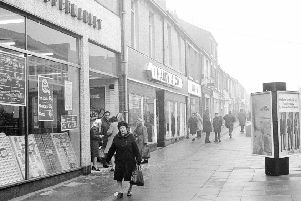 How much do you know about Sunderland and its history? Marie Gardiner, who hails originally from the city and is a writer and photographer, knows a lot and that’s thanks to her research into her new book. Sunderland Museum and Winter Gardens. Secret Sunderland takes a look at everything from the birth of the football club to some of the city’s heroes. There’s the dark aspects of Wearside’s past, a look at mass graves and a spotlight on a mass murderer. There’s the reason why Sunderland’s cottages were built and a look at the Great Fire of Sunderland in 1898. And as well as the book, if anyone wants to find out more, they can do so at a book launch this Thursday. It will be held from 7pm and it’s free. To register, see the details below. If you grow up in Sunderland, you undoubtedly hear interesting snippets about its history, or quirky stories, and then there are things you can be completely unaware of and you think, wow, how have I not heard of this? In the meantime, Marie, who now lives in County Durham, told Wearside Echoes a little more about the enjoyment of looking into the history of her hometown. This labour of love covers many facets of Wearside’s past. It looks at the start of rivalry between Sunderland and Newcastle and Marie traced it back to the days of Charles I, who favoured Newcastle over Sunderland in the coal trade. During the Civil War in 1642, Newcastle backed the king and Sunderland the Parliamentarians. The fight culminated in the Battle of Boldon Hill where Sunderland (backed by the Scots), won and the Parliamentarians backed Sunderland over Newcastle during the Commonwealth. There’s a section on Sunderland heroes such as lifesaver Harry Watts whose actions saved 17 people. There’s Southwick-born William Mills who devised the Mills bomb ‘grenade’. There’s a tribute to Sunderland’s fans and a reminder of the time when Stokoe’s men beat Manchester City on the way to Wembley in 1973. One London journalist, said Marie, was said to have been talking to a groundskeeper at Roker Park the morning after the match and commented on the noise from the ground, asking where the amplifiers were. The groundsman told him that what he’d heard was the Roker Roar. There’s a reference to the benches at Roker which stand where gun emplacements used to be in the Second World War. And one to the Bombardment of Sunderland in the First World War. And did you know that, when the Queen Alexandra Bridge was opened in 1909, it was the heaviest bridge in Britain at the time. It cost half a million pounds and more than two years to build. Look out for a section on Roker Pier and the tunnel which was useful to the lighthouse keeper so that he didn’t have to face a dangerous route to the lighthouse in treacherous conditions. There’s reference to Grindon Hall, the former mansion house which belonged to the Doxford family and which was once a sanitorium. And take a look at the section on Sunderland Museum and Winter Gardens whose history stretches back more than 170 years and includes a walrus which was said to have been the influence for the Lewis Carroll poem The Walrus and the Carpenter. Breweries, glassworks, car manufacture and more gets the attention of Secret Sunderland and Marie admits there are ‘undoubtedly’ more secrets that Sunderland has to share. Marie paid tribute to Sunderland as a ‘place bursting with history, with culture and with heart’. The book is priced £14.99 and is available from ‘all good local bookshops’. It is part of a Secret series and as well as paperback, is also available in Kindle, Kobo and iBook formats. People can also obtain tickets for Marie’s book launch. It will be held at the Peacock in Sunderland on Thursday, April 11, at 7pm. Tickets are available at https://www.eventbrite.co.uk/e/secret-sunderland-book-launch-tickets-58089709886.